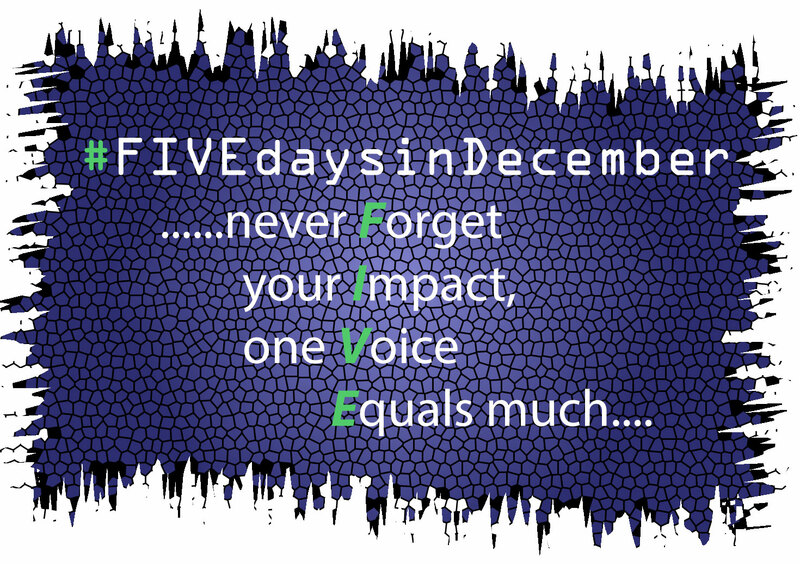 JOIN ME…..my last five blogging days of the year are going to be part of a series called “Five Days in December”. I started my blog this year, to share my voice, and make an impact, and not stand on the sidelines while my thoughts remained tucked away in my brain. I took a small hiatus, to sit back, watch, listen, learn, and NOW I have plenty to say. Plan, Prepare, Execute! How about you?…What are you doing in your community? How are you advancing your career? establishing meaningful relationships? In what area, could you be doing more? Take a little time out of your day, for 5 days in December, and figure out what you are going to do next year! It only takes ONE!